If you believe that you are a victim of a preventable amputation, call the Law Offices of Cardaro & Peek today. According to the Amputee Coalition, an estimated 60% of all amputations are preventable. The loss of a limb can be shattering for a patient and their family, but even more so if the amputation was a direct result of medical malpractice. 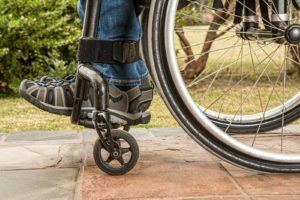 Learn more about amputation, and when preventable amputation becomes a medical malpractice claim. Amputations are necessary for many medical reasons and sometimes can even mean the difference between life and death. Amputation is implemented to prevent an infection from spreading, alleviate vascular issues caused by diabetes, or for the treatment of an injury such as a vehicle accident. A doctor improperly applies a cast causing compartment syndrome, leading to damage to a limb. A medical professional fails to diagnose and treat an infection before it worsens. A medical professional improperly cares for a wound, causing infection. The medical professional operates on the wrong limb or damages a limb during surgery. Surgical complications arise and the medical professional fails to adhere to the standard of care. It’s important to note that amputations carry a higher risk for certain individuals. Patients with diabetes, preexisting infections, and heart disease are more prone to complications of amputations. If a doctor does not take their preexisting conditions into account, and a preventable amputation occurs, it could be considered medical malpractice. If you believe that you are a victim of a preventable amputation, call the Law Offices of Cardaro & Peek today. We will assess your case, and help prove (if sufficient) that the injury was a direct result of medical negligence. If your medical professional deviated from the standard of care, you may be the victim of medical malpractice. This entry was posted on Friday, March 15th, 2019 at 10:25 am. Both comments and pings are currently closed.